A perfect giveaway gift item or table favor. 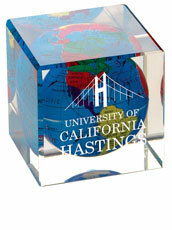 This metal globe bank is decoratively wrapped in cellophane overlay with a blue ribbon that can be imprinted with your company logo or global gift message. 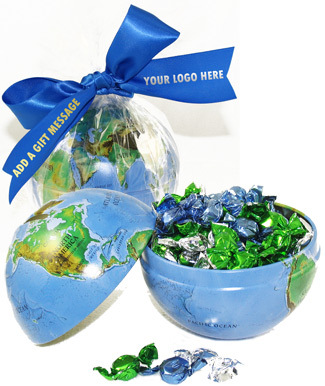 Open the world globe bank to find it filled with delicious peppermint candies. The globe features beautifully printed physical cartography of the world with shaded relief and ocean floor detail. 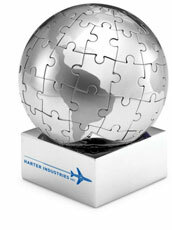 A coin slot at the top of this metal globe allows it to be used as a globe bank after the candies have been consumed. A long lasting gift that the recipient will surely cherish for years to come.